After the release of infinity, the staff was left with a sense of dissatisfaction of the less than satisfactory release and reception of the game they had worked hard to make. As a result, the staff, with the guidance of producer Kazuhiro Ichikawa, planned an extended version of infinity as a sort of reconciliation to the players and to take another go at seeing if they could make the game a hit, some declaring it as their “revenge.” Unlike infinity, this game would be released on Sega’s Dreamcast system. At the time, the Dreamcast was an ideal system for visual novel developers, possessing higher specs than the traditional Sega Saturn or PlayStation, yet also being cheaper and easier to develop for than the upcoming PlayStation 2. It also had a higher number of visual novel fans as owners, being the followup to the Saturn, Japan’s biggest home console for visual novels at the time. The majority of infinity’s staff would return to work on this extended version of the game, which was set for release at the end of the year. 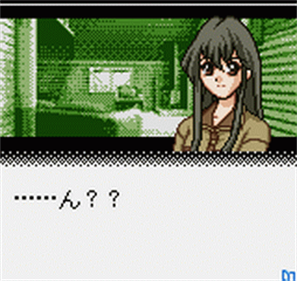 While this version of the game would be come to be known as Never7, as work on the game was being prepared, two more scenarios were produced: Izumi Curé, a brand-new route centered around the heroine Izumi that featured a brand-new resolution to the story and its mysteries with the introduction of a new plot element known as “Curé Syndrome,” and Yuka Cure, a retelling of Yuka’s Route from infinity from the perspective of Yuka herself, featuring additional subplots not found in the original route and a new, additional ending. 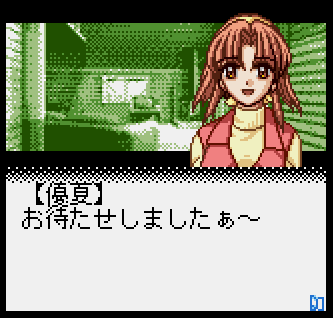 Uchikoshi and Nakazawa were in charge of these scenarios, though the only confirmed writing credit is Nakazawa on Yuka Cure. Having learned their lesson from the sales and criticisms of the PR department on infinity, KID decided to put their advice into practice and include the time travel aspect of the game in the foreground of the advertising for this new version of infinity. However, this now left the game without a central surprise “plot twist,” to defy player expectations. As a result, there was a need to create a new central plot twist, ultimately leading to the creation of Curé Syndrome – a fictional phenomenon that could turn delusions into reality. This inclusion of Curé Syndrome completely changed the nature of the game. What had originally been a love story featuring supernatural elements such as premonitions and bells that could create time travel was now completely turned on its head. Instead, the central reveal now was that all the events in the game were perhaps not time travel after all, but merely a delusion in the protagonist’s head. By introducing this harder science fiction element, the validity of previous explanations for the time travel were put into question, leaving players with the uncertainty of how much they played was true and how much was delusion. Curé Syndrome was also deliberately designed to be ambiguous, as the validity of the phenomenon was directly questioned in the story and never confirmed, leaving the audience with two possible interpretations of the plot – that there was actual supernatural time travel going on, or that everything truly was a delusion. This element was addressed in story as the concept that reality was subjective, not objective, and was representative of Uchikoshi and Nakazawa’s desire to leave certain plot points ambiguous and open to invoke audience speculation, leaving hints here and there for players to come up with valid but unconfirmed theories. Nakazawa explained the justification for this mindset was that leaving plot points open for speculation would lead to discussion over the game in the future that would keep players talking about it long after it had been released. In contrast, had they left clean-cut answers in the game itself, no such discussion would have occurred, and players would have likely remembered it as simply a good game and nothing more, which would have caused the game to be quickly forgotten. To this date, neither Nakazawa nor Uchikoshi have confirmed if there is a “correct” interpretation of the game. This mindset would form the core philosophy of future games in the series to varying degrees of ambiguity. To appease fans of Infinity who were waiting for Never7 at the time and might not have wanted to repurchase the full game for the little bit of additional content, these two scenarios were compiled and use as the base for a “port” of sorts for Infinity on the NeoGeoPocket: INFINITY cure. Due to the lower specs and screen of the NeoGeoPocket, only these two routes were included. In addition to its significance to the story, the title was chosen for its similarity to Memories Off Pure, another NeoGeoPocket title by KID released as a short prequel of sorts to Memories Off (which, much like Never7, would later be incorporated into Memories Off’s Dreamcast re-release). According to sources, there were actually plans for one more route called “Kurumi Cure,” but it was ultimately left out due to a lack of cartridge space on the NeoGeoPocket and for structural reasons, and it has never been released in any form since, nor have any details been released regarding its purported content except that it was meant to be a route from Kurumi’s perspective, much like Yuka Cure. Due to the limited space, Nakazawa and Uchikoshi were forced to re-edit and rewrite the content of their routes to fit space limitations. This simultaneous development of INFINITY cure. and Never7 forced the staff to work long hours in order to finish both on schedule. Furthermore, infinity museum, a CD containing Windows accessories based off of infinity, was also created and released on September 24th, 2000, containing a variety of art materials within. INFINITY cure. was released on November 23rd, 2000. 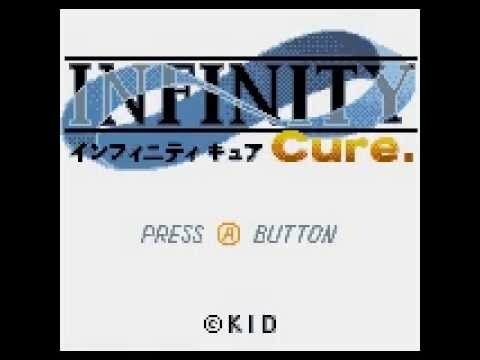 While the overall content was praised, due to the obscurity of the NeoGeoPocket, INFINITY cure. was ultimately overlooked by a majority of players, mainly attracting players of Memories Off Pure. It would be a month before INFINITY cure.’s intended audience would see this new content, and the staff would receive the reception they had finally been awaiting.